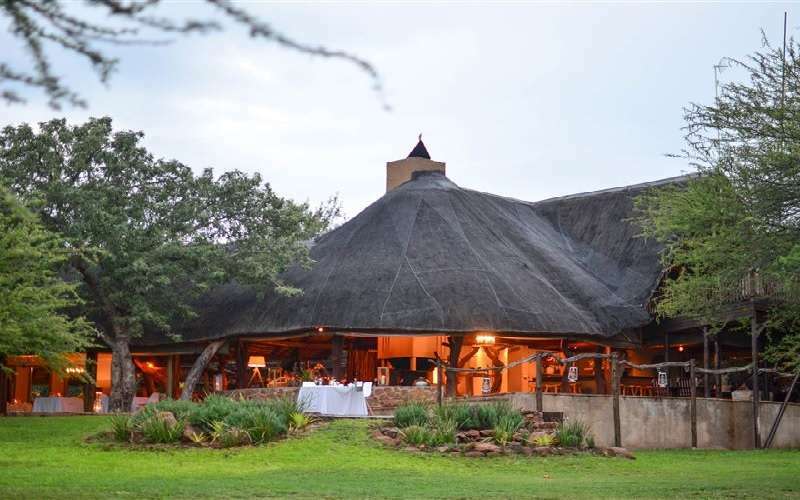 Itaga Private Game Lodge is situated within the abundant Mabalingwe Nature Reserve at the foot of the Waterberg Mountains in South Africa's gorgeous province of Limpopo. 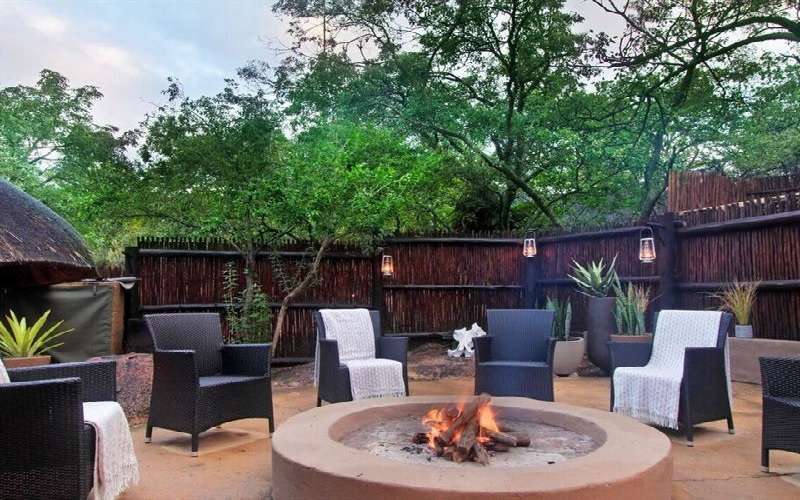 This lodge is situated close to Bela-Bela (formerly known as Warmbaths), two hours from the commercial capital, Johannesburg, and approximately an hour from Pretoria. 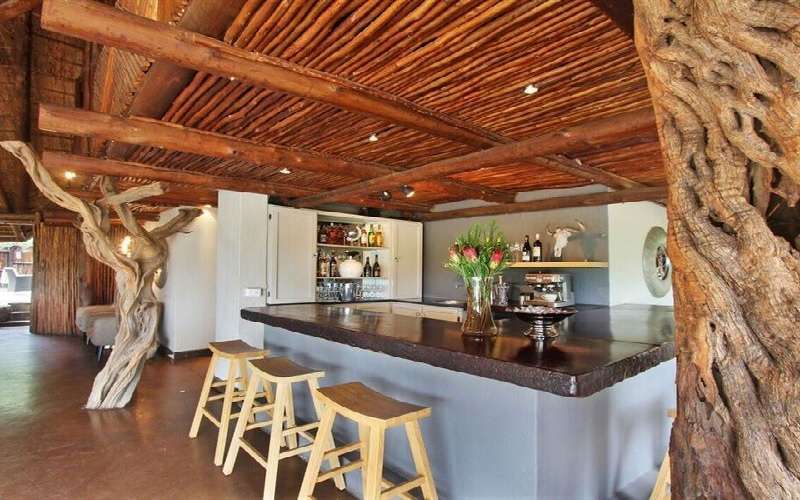 It is accessed by one of South Africa's most beautiful motorways, the national Polokwane road. Although Itaga has achieved a coveted 5-star rating for its accommodation, service and amenities, it remains affordable, hospitable and welcoming. Itaga Private Game Lodge has many in-room and public features that make it special for esteemed guests. The lodge itself is equipped with a dining area, lounge with an inviting fireplace, cocktail bar, viewing deck over the illuminated watering hole, bush boma (an open-air traditional meeting place), 24-hour public tea- and coffee station, loft lounge with satellite television, library, boutique with curios and gifts, a refreshing blue swimming pool and sun deck and fabulous conference facilities (both indoor and outdoor). 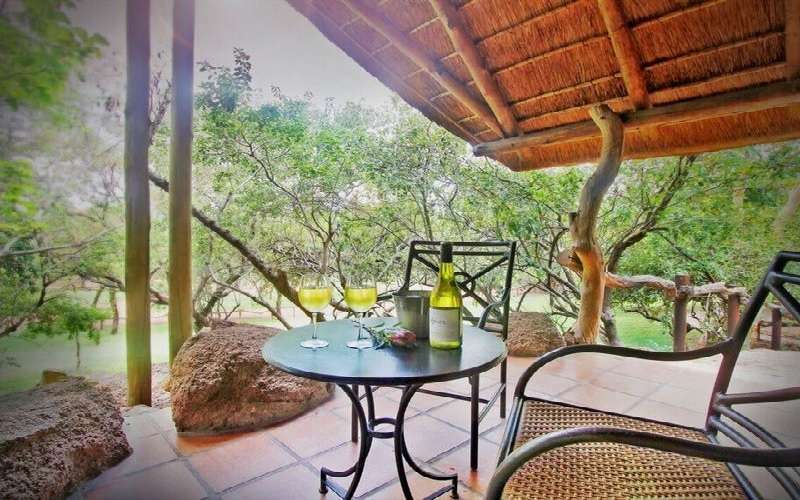 Views of the South African bushveld are aplenty, and some of the most spectacular sights are from elevated spots such as the upper deck. There is an electric fence all around the camp, ensuring that all of our guests are safe at all times. This also deters elephants from sampling their favourite fruit from our Marula trees. Itaga Private Game Lodge comprises only eight thatched chalets (all non-smoking), each elegantly appointed and warmly inviting. Each has been decorated with a distinctly African theme and is equipped with air-conditioning units, which both warm and cool the environment for maximum comfort; private patios from where to enjoy the warm African air; hairdryer and shaving power socket. 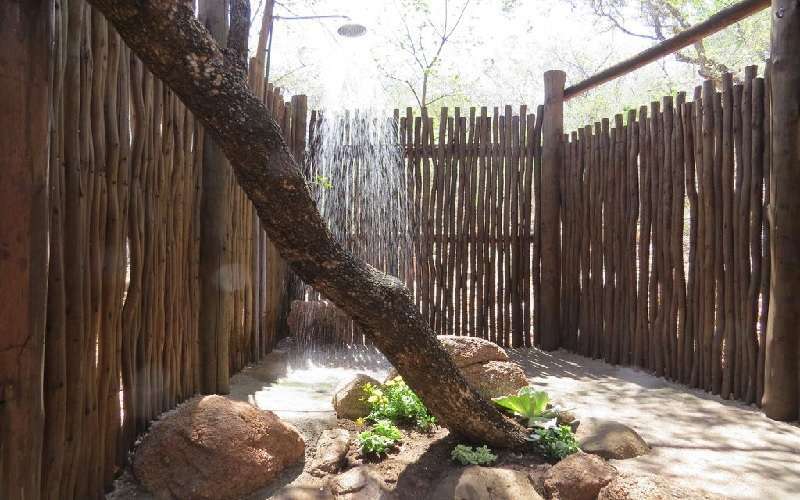 Guests may choose between a bath and a shower and most of the chalets boast an additional outdoor bush shower. Superior rooms also have a tea- and coffee station as well as an inside and outside shower, electronic safe, added bathroom amenities, robes and slippers. In addition, guests of these rooms are able to check out at 13h00 as opposed to 11h00, enjoying Itaga for just that little while longer. 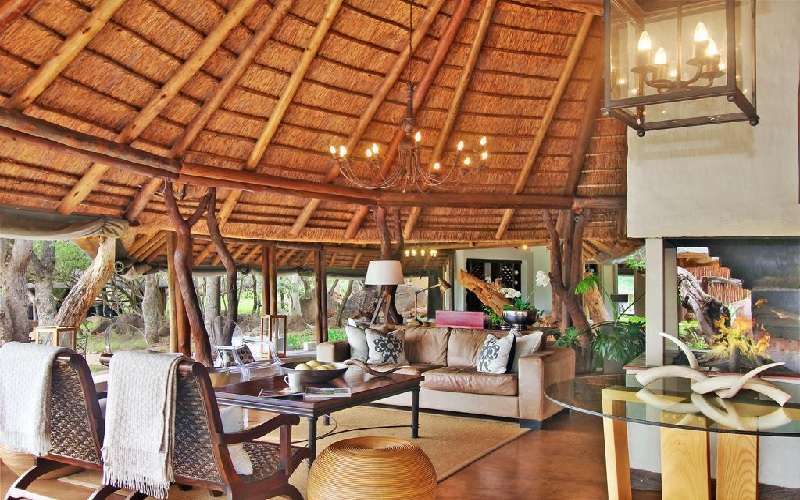 This bush lodge has traversing rights over more than 12 000 hectares of Africa's ideal wildlife habitat. 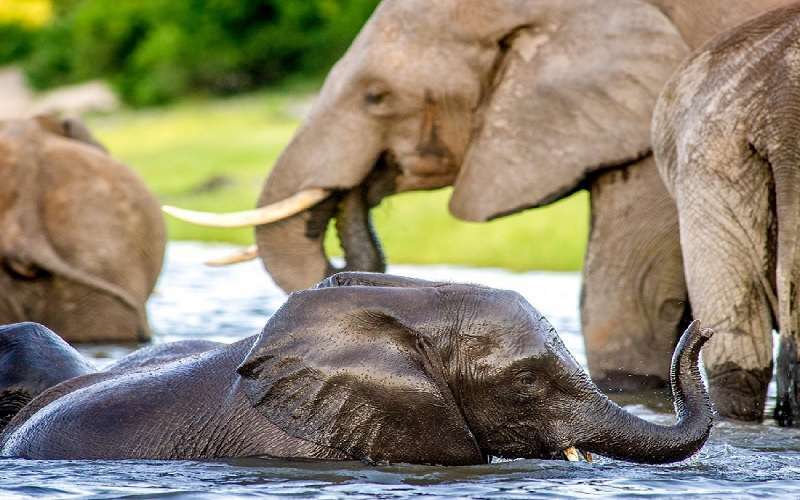 Some of the local residents include Elephant, Lion, Leopard, Rhino and Buffalo (known as the Big 5), as well as Hippo, Wildebeest, Hyena, Giraffe, Zebra and Warthog, along with an exciting array of antelope. The birdlife is impressive, and bound to delight avid avian enthusiasts. Experienced game rangers conduct formal game drives in the early morning and late afternoon. The 4 x 4 game vehicles are open to ensure maximum visibility, while not negotiating on safety. The seats are contoured for the ultimate in passenger comfort. 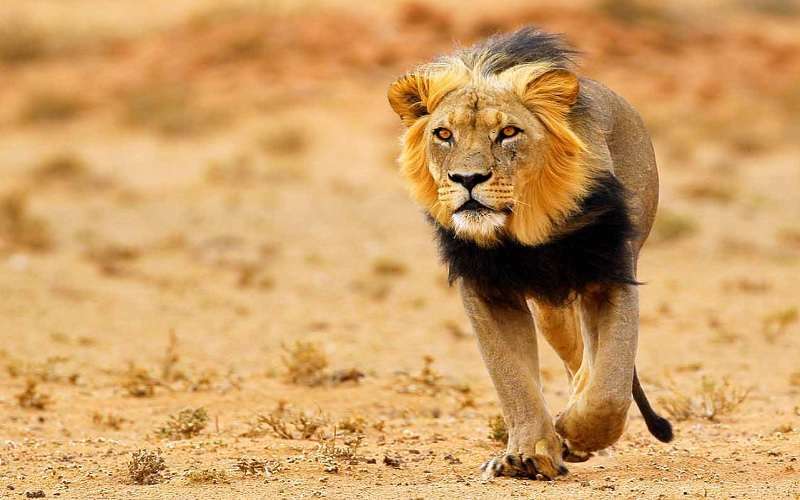 The Mabalingwe Lion Enclosure is home to these graceful hunters and is a separate, high-security area. It is open from Wednesday to Sunday from 09h00. 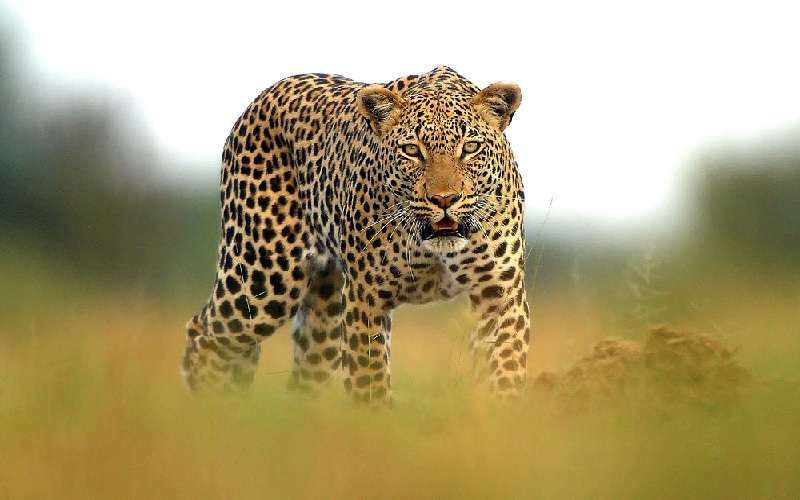 Itaga Lodge will arrange transport to and from the enclosure, which is included in the tour price of R180 per person. This needs to be arranged before the arrival of guests to ensure availability. This is a large facility and the lions are rather shy, hiding from the hot South African sun. Therefore, it is possible that, on some occasions, guests may not catch a glimpse of these wild cats. 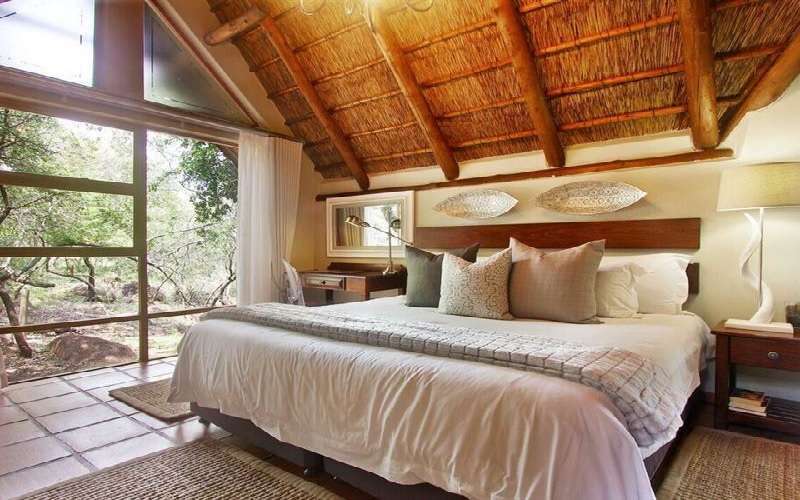 The Zebula Golf Estate & Spa is a 5-star facility to which Itaga guests have access. 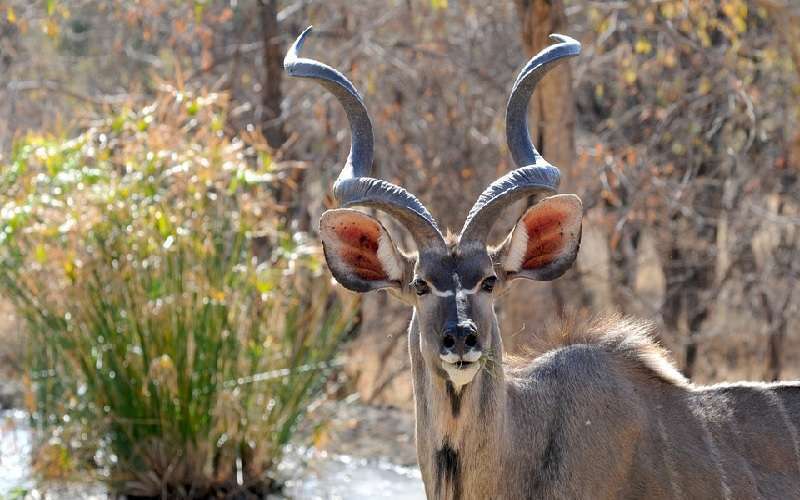 There is a private access road between the lodge and the golf estate along which many exciting animals and plants may be spotted, making the 20-minute drive an adventure in itself. 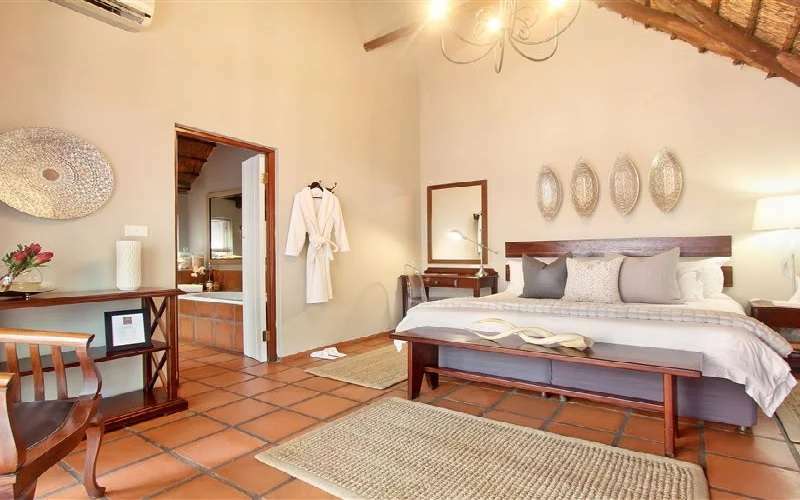 Zebula was voted the Best New Golf Estate in South Africa in 2004, and was designed by Peter Matkovich and its 18 holes are nestled within 2600 hectares of bushveld and nature reserve. Special rates for the hire of golf carts and clubs are available to Itaga guests and transfers to and from the estate can be arranged. Zebula Country Club boasts a restaurant, cocktail bar, bush boma, convenience store, gift shop, halfway house (with snacks and refreshments), golf shop with clothing and equipment, swimming pool, Jacuzzi, tennis courts, squash courts, gym, aviary, Meerkat Manor (a sanctuary for these delightful animals) and a Snake and Reptile Centre. The Zebu Health and Beauty Spa guarantees a serene, relaxing experience for even our busiest client. Modern equipment, top-notch products and the expertise of trained professionals ensures that the body is refreshed and the mind restored. Manicures, pedicures, massages, hydro- and tanning facilities make for the ideal all-round health and beauty pampering. The Animal Care Centre is sure to delight young and old alike as they are photographed with lion cubs or Bengal tiger cubs and witness the impressive Cheetah Run, a race that sees these creatures topping a speed of approximately 100 kilometres per hour. There is an abundance of birdlife as well as many non-predatory creatures roaming these plains, and guests will leave feeling enlightened. All of these activities can be organised and paid for through Itaga. 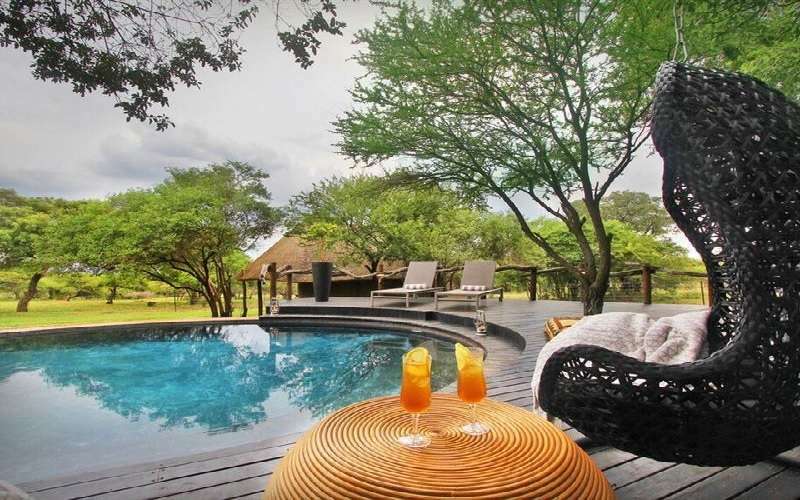 Despite being secluded from the hustle and bustle of city living, Itaga Private Game Lodge enjoys close proximity to major city centres like Pretoria and Johannesburg. This puts it in the ideal position to host conferences, product launches, training seminars and teambuilding initiatives. 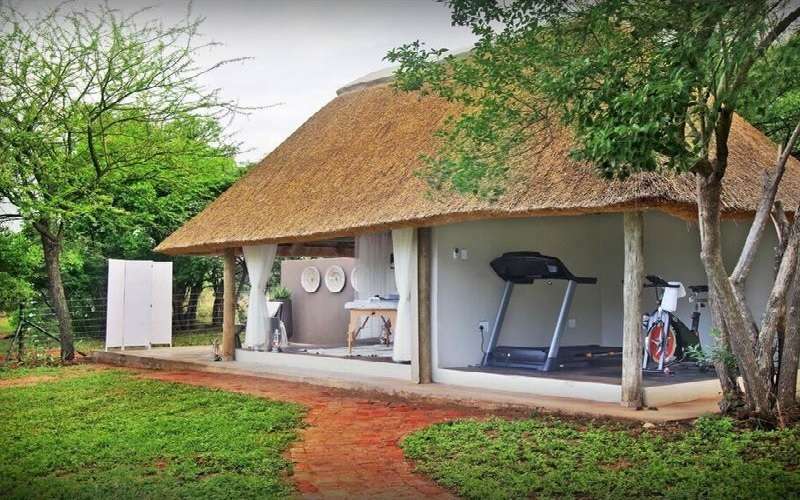 The conference venue accommodates between six and 16 delegates and there are outdoor facilities available for those who prefer to brainstorm to the sounds and smells of Africa. Equipment includes flipcharts, an overhead projector, television, video equipment, and more. Refreshments are served on the upper deck. Increasingly popular amongst corporate guests is the hiring of the entire lodge. This allows the use of viewing decks or dining areas as breakaway venues and also encourages a sense of utter relaxation, stimulating the imagination and inspiring creative thought. The cost of such an adventure depends on the specific requirements of each group and will need to be discussed directly with the lodge. Such world-class accommodation is perfectly rounded off with equally impressive cuisine. South Africa is renowned the world over for its superior wines. These, along with various malts, cognacs, liqueurs, and imported cigars, make for the ideal end to a hearty meal. The dining area overlooks the floodlit watering hole and views of magnificent animals having a drink frequently stop dinner conversation in mid-sentence. Served around the crystal blue of the swimming pool or in the main dining area, breakfast comprises cereals, breads, juices, fruit, yoghurt, cheese, cold meats and a cooked option (bacon, eggs, tomato and much more). Breakfast is scheduled to be served after a morning game drive, ensuring that guests have worked up an appetite. During mid-afternoon, a high tea of fruit, pastries, cakes, savoury snacks, tea and coffee is served in the cocktail bar. Thereafter, guests are taken on an afternoon game drive. 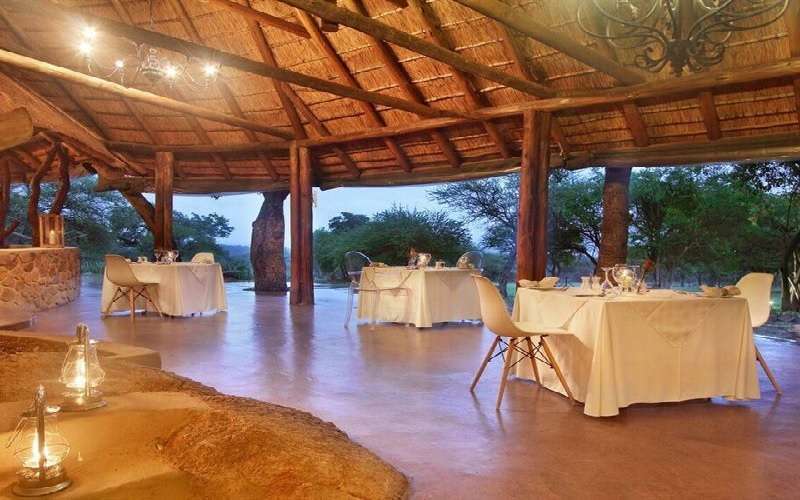 After a day spent exploring the bushveld under the hot South Africa sun, a three-course meal is just what the doctor ordered. This intimate meal is best enjoyed overlooking the watering hole. Each course presents diners with a choice of three options, catering to dietary requirements and preferences. A cheese platter is available for those feeling savoury. The snack menu includes light meals that are served between 10h00 and 17h00 every day. The menu comprises options such as salads, hamburgers and quiches. 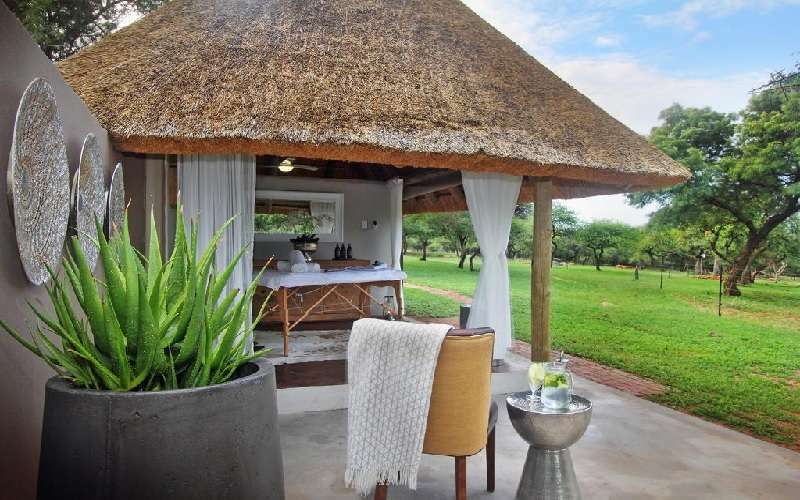 Guests have the luxury of a private table and are not required to sit with other guests or game rangers. This has been done with the aim of ensuring that couples and families enjoy Itaga as a personal experience, rather than as a less intimate group outing. Although Malaria is not a threat at Itaga, it is wise to bring insect repellent to ensure a restful night's sleep. In addition, light, comfortable clothing, swimsuits and a few pieces of warm clothing are essential. Winter mornings and evenings may get very chilly, and a thick fleece top is advisable, particularly for game drives. The sun is capable of much skin damage, and visitors are urged to wear a high-factor sun cream as well as a sunhat and effective sunglasses. Comfortable walking shoes, binoculars and a camera are essentials. Summers are hot and winters are temperate and dry. The sun shines for an average of over 285 days in the year. Summers reach maximum temperatures of between 30 and 35 degrees Celsius, while winters start off very cold (at about two or three degrees) and reach a comfortable 20 to 23 degrees by lunchtime. Animals can be seen all year round, but are more active during winter as it is cooler and more comfortable for them (as it is for the visitors). From Johannesburg or Pretoria, take the N1 North, Polokwane (Pietersburg) / Platinum Toll Highway. Pass through the Pumulani Toll Plaza - (approximately R6 toll fee for cars / mini-buses). Pass the Panorama Petroport on your left hand-side and continue through the Carousel Toll Plaza - (approximately R27 toll fee for cars / mini-buses). Pass the turnoff to the Carousel Casino on your left and approximately 40 kilometres later, take the R516 Bela Bela / Settlers turn off (exit 238) and keep left. At the T junction stop street, turn right into the R101 Bela Bela road, passing the Waterfront Arts and Craft Centre on your left, ('A' frame timber units) and at the next set of traffic lights, (immediately after crossing the railway bridge), turn left again into Potgieter Street and follow the road which curves around to the right and then turn left at the intersection (into Chris Hani Drive), passing the entrance to the Forever Resorts Warmbaths complex (on your left hand side). Proceed to the next roundabout and then turn left, following the signs to Mabalingwe, Thabazimbi and Rooiberg, at that circle. Follow the road for approximately 28 kilometres. The Mabalingwe Nature Reserve signboard / entrance will be on your right hand side. Once you have gone through the Mabalingwe main gate, take an immediate sharp left turn on to the dirt road, (chain will be removed by gate attendant). After turning onto this road, follow the signs to Itaga Lodge, which is approximately 8 kilometres from the Mabalingwe main gate entrance.